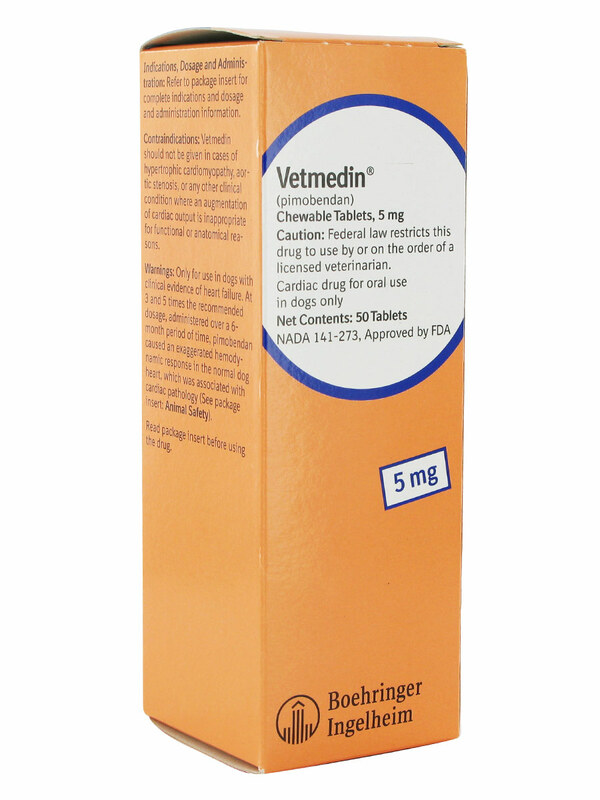 Vetmedin is used to manage certain types of congestive heart failure in dogs. It differs from other commonly used heart drugs because it helps the heart pump more efficiently. Uses: Pimobendan is a medication that increases the ability of the heart to pump blood. It is used for the management of the signs of mild, moderate, or severe (modified NYHA Class II, III, or IV) congestive heart failure in dogs due to atrioventricular valvular insufficiency (AVVI) or dilated cardiomyopathy (DCM).